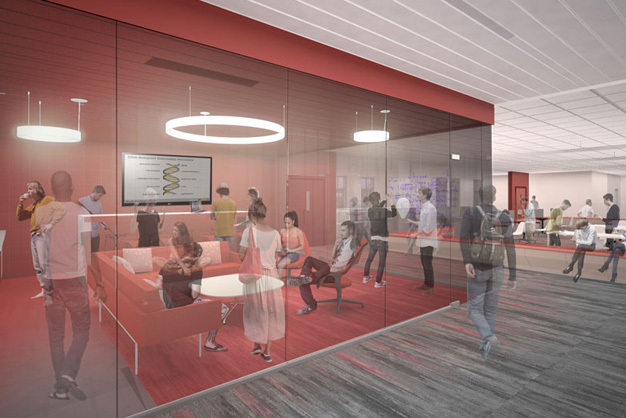 By forging collaborations between engineers and biologists, climatologists and entrepreneurs, San Diego State University’s new, $90-million Engineering and Interdisciplinary Sciences Complex is a key element of SDSU’s strategy to become a top-50 public research university. Scheduled for completion in 2018, the five-story complex will enhance the university’s teaching and research capacities and help attract the best and brightest faculty researchers as well as graduate and undergraduate students. It will also house an entrepreneurship innovation center for students to team up, dream up, create, and market their discoveries. Designed to embody the California Mission Revival style of the SDSU campus, the 85,000-square-foot building will have durable, cost-effective painted cement in place of large adobe blocks, white exteriors, regularly spaced small windows, tile roofs and modest decorative elements. Meanwhile, the scientists and engineers in the new complex will be focused on the future. 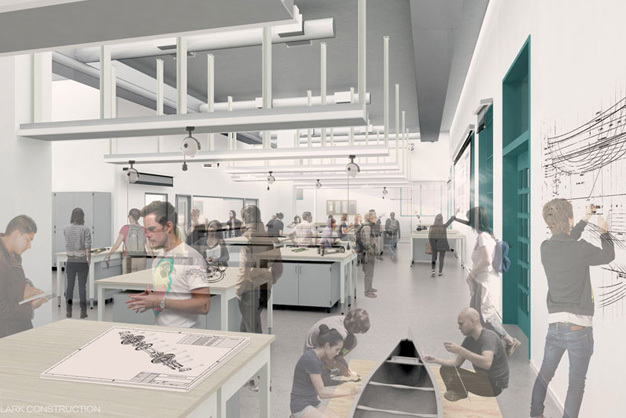 The interior will have much more instructional, laboratory and collaborative space than the current Engineering and Industrial Technology buildings. 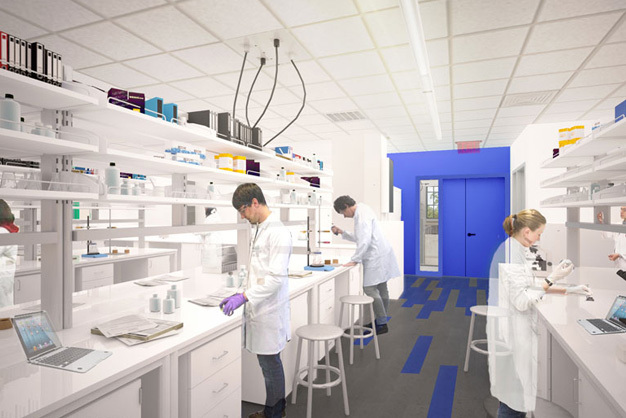 In particular, 11,500 square feet of instructional space with 17 cutting-edge labs with state-of-the-art scientific and industrial machines and a modular setup will allow scientists and engineers to easily relocate their resources to be closer to potential collaborators. Outside will be the Thomas B. Day Quad, named to honor SDSU’s sixth president who pushed SDSU to become a full-fledged research institution. It will be filled with gardens and seating, providing space for students and researchers to discuss their latest projects. 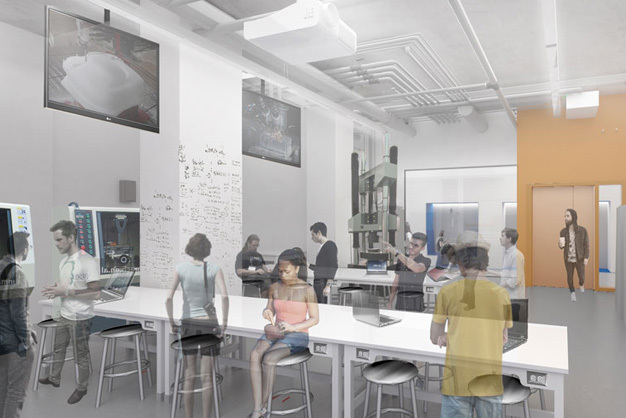 To encourage and cultivate novel innovations that emerge when scientists and engineers work together, the complex will house the William E. Leonhard Entrepreneurship Center, an umbrella for the Zahn Innovation Center and Lavin Entrepreneurship Center. 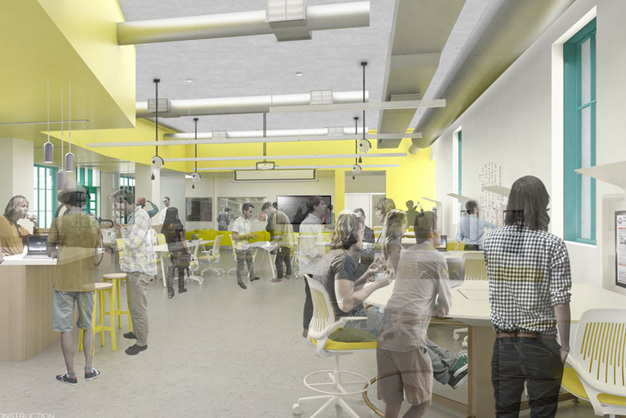 The space will help student entrepreneurs work to bring their products to market. Brightworks is managing the design/build team’s LEED certification program as they target green building strategies that fit the building and the University’s commitment to high-performance design and a vision of a healthier future.